Rafael Benitez confirms that Daryl Janmaat is back after a month out to play for Newcastle United against Aston Villa on Saturday. Sports Mole previews Sunday's La Liga clash between Real Madrid and Valencia at the Bernabeu. Sports Mole previews the Premier League encounter between already-relegated Aston Villa and Newcastle United. Real Madrid centre-back Pepe reveals that former Los Blancos boss Rafael Benitez told the Portuguese that he was "third choice" centre-back at the Bernabeu. Both West Ham United and Southampton are reportedly keen on triggering an £8m clause in Andros Townsend's contract if Newcastle United go down. Rafael Benitez urges Newcastle United team to "avoid complacency"
Rafael Benitez warns his Newcastle United team against "complacency" as they try to seal safety in their final two Premier League games. Cristiano Ronaldo claims that the Real Madrid team feel more "appreciated" playing under Zinedine Zidane. Relive Newcastle United's 1-0 win over Crystal Palace as Andros Townsend's stunning strike sends the Magpies out of the relegation zone. Newcastle United boss Rafael Benitez brushes aside Sam Allardyce's suggestion that Crystal Palace could roll over at St James' Park on Saturday. Sports Mole looks ahead to Saturday's Premier League encounter between Newcastle United and Crystal Palace at St James' Park. Sports Mole previews Saturday's La Liga clash between Real Sociedad and Real Madrid at the Anoeta. 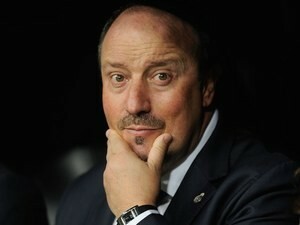 Rafael Benitez guides Newcastle United to a comeback 2-2 draw against his former club Liverpool at Anfield. Daniel Sturridge will lead the line for Liverpool as they welcome an unchanged Newcastle United to Anfield. Relive Sports Mole's live text commentary of the Premier League draw between Liverpool and Newcastle United at Anfield. AC Milan want to sign Newcastle United midfielder Moussa Sissoko at the end of the season, according to a report. Newcastle United manager Rafael Benitez says that his players have shown that they have the confidence to improve their results on their travels. Steven Gerrard felt that it would have been "great" if Jose Mourinho joined Liverpool during his time at the club, according to former Reds goalkeeper Jerzy Dudek. Sports Mole previews Saturday afternoon's La Liga clash between Rayo Vallecano and Real Madrid in the Spanish capital. Newcastle United will reportedly plead with Rafael Benitez to remain as manager, even if they are relegated to the Championship. Sports Mole previews the Premier League match between Manchester City and Stoke City at the Etihad Stadium. Sports Mole previews Saturday's Premier League match between Liverpool and Newcastle United at Anfield. A report claims that Newcastle United will offer Rafael Benitez a series of promises in an attempt to stop him leaving St James' Park at the end of the season. Newcastle United boss Rafael Benitez praises his players for coming from behind to draw with Manchester City in Tuesday night's Premier League clash at St James' Park. Vurnon Anita cancels out a strike from Sergio Aguero as Newcastle United come from behind to draw 1-1 with Manchester City in the Premier League. Vincent Kompany returns to Manchester City's starting lineup for their Premier League match against Newcastle United. Rafael Benitez reveals that Sergio Aguero was offered to Liverpool during the Spaniard's time in charge of the Merseyside outfit. Sports Mole looks ahead to Manchester City's trip to relegation-threatened Newcastle United for a Premier League encounter. Newcastle United boss Rafael Benitez says that Manchester City's Champions League semi-final could distract them in tomorrow's game at St James' Park. Newcastle manager Rafael Benitez insists that his side believe they will escape the drop zone and avoid relegation from the Premier League this season. Newcastle United's Rafael Benitez praises his team's "passion and commitment"
Rafael Benitez praises his Newcastle United players following their 3-0 win over Swansea City. Newcastle United winger Andros Townsend says that the side's 3-0 win over Swansea City was a "long time coming". Newcastle United beat Swansea City 3-0 at St James' Park to pick up their first win under the watch of Rafael Benitez. Relive Sports Mole's live text coverage of Newcastle United's 3-0 win over Swansea City, as the Magpies picked up a first victory under Rafael Benitez.